Bedroom 2 with queen. Cable TV. 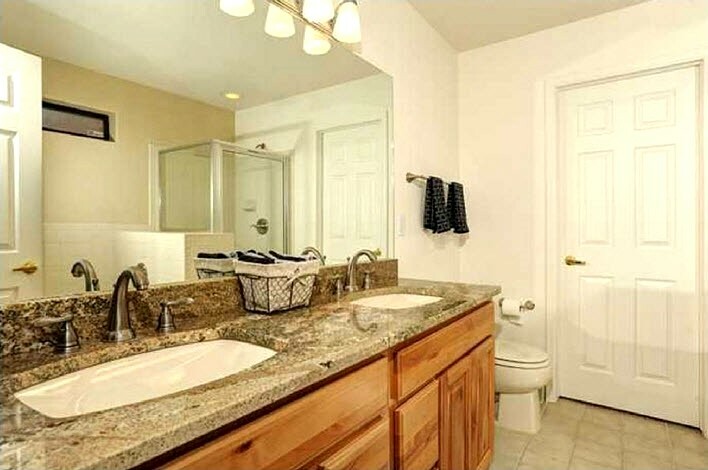 Jack and Jill bathroom door shown in Bedroom 2. Living room with pull out queen sofa sleeper. All windows have privacy shades. 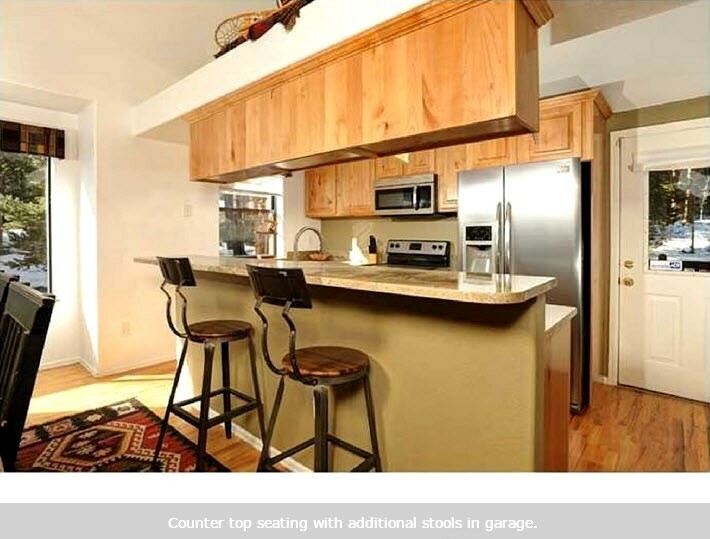 Counter top seating with additional stools in garage. 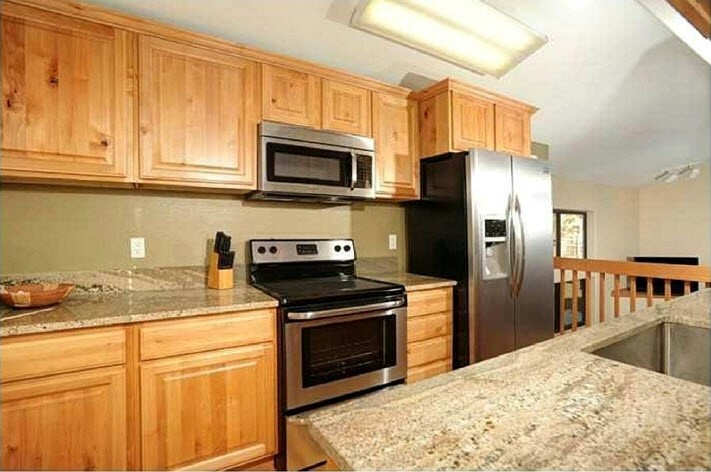 Updated granite kitchen with new stainless appliances. Alternate family room view with fireplace. TV has moved location. 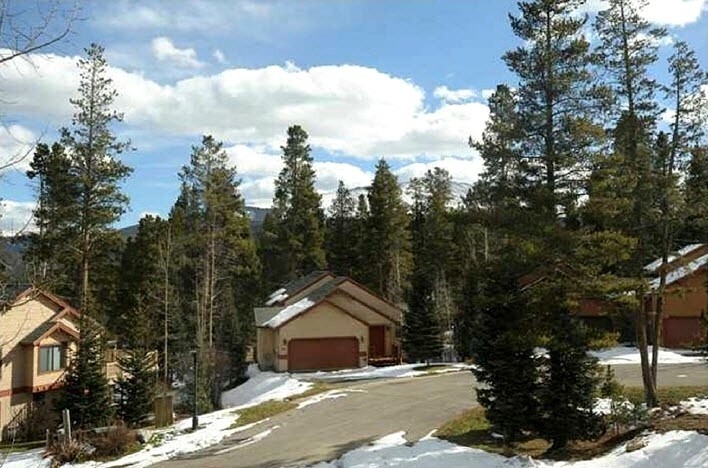 Our Park Forest Luxury Chalet is ideal for those seeking a private home in a quiet setting with excellent accessibility to the ski slopes and the town of Breckenridge! 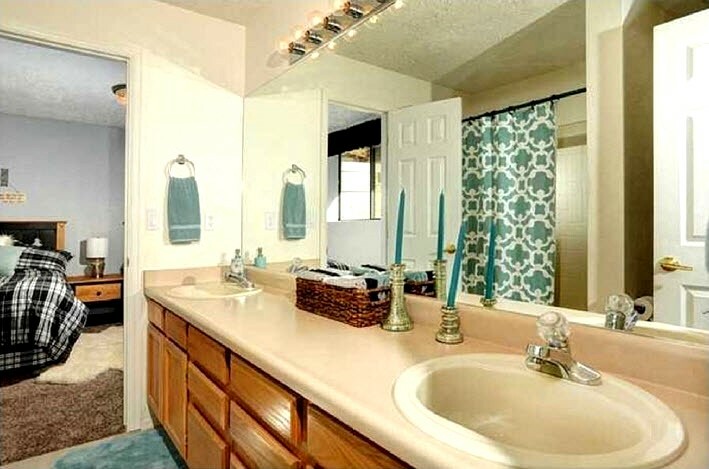 This 3 bedroom/3 bath home comes with its own private hot tub and all the amenities of home. 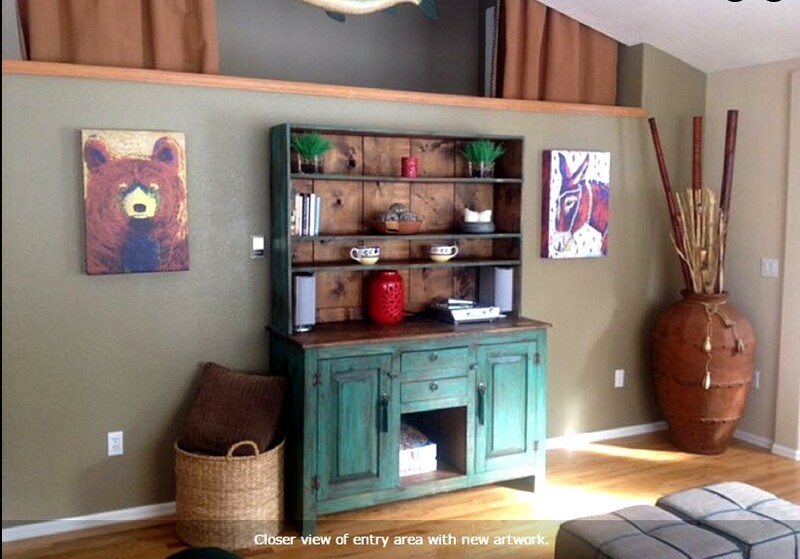 It is the brightest unit with an updated remodeled kitchen, new furnishings, original artwork, tile, carpet and hardwood floors throughout. 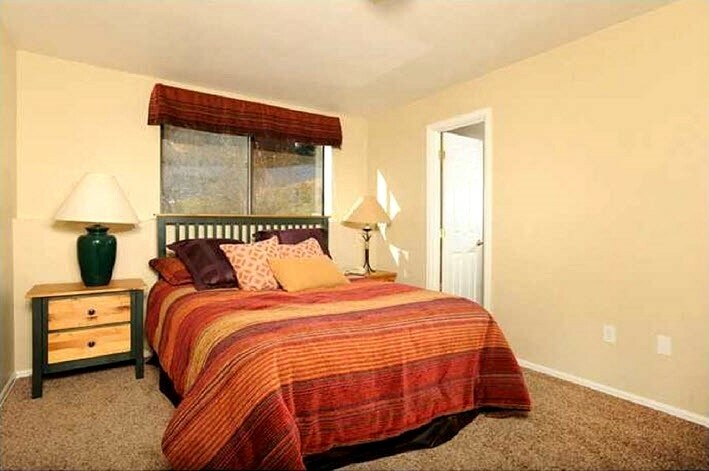 The house is equipped with several flat screen tv's and free high speed internet via wifi. Bring your computer or tablet and don't forget to download the SONOS App to operate the wireless speaker system where you can stream your own playlist in the living room or Master bedroom! 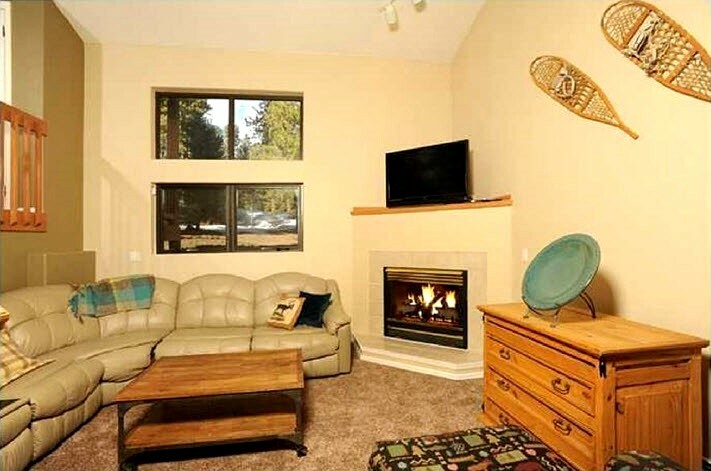 The 2 car garage has ample room to store your skis and snowboards with ski racks on the wall. We also have a boot warmer to dry out those boots for the next day. 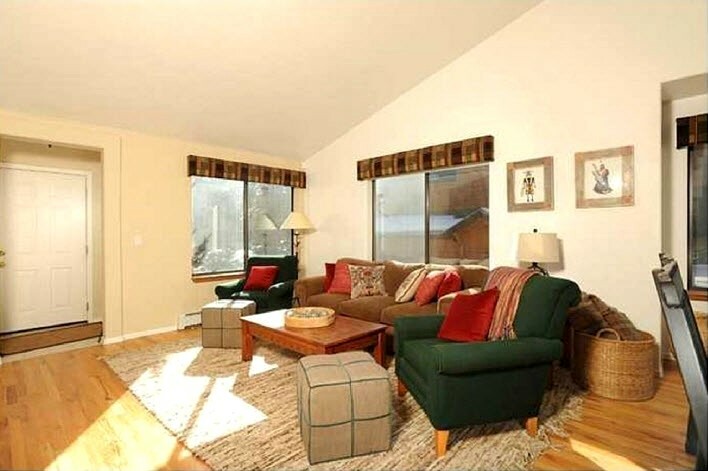 Location – This property is conveniently located off Ski Hill Road in Park Forest Estates near the base of Peak 8. 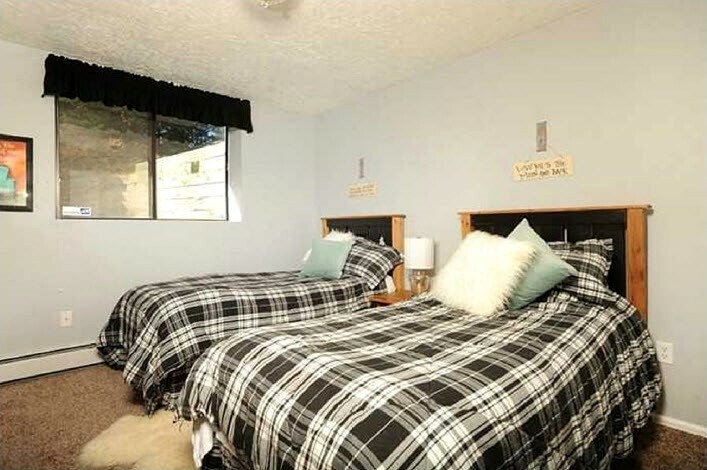 Walk through the back yard and a few steps to the free shuttle at the Gold Camp Condominiums to go to town or the one block to the base of Peak 8! The Breckenridge Nordic Center, with numerous groomed cross country and snowshoeing ski trails is an easy walk just across One Ski Hill Road. Or, you can walk approximately 2-3 blocks (5 to 10 minutes) to and from Four O'Clock ski run where you can ski down to the Snow Flake lift – when conditions permit (see satellite overview in photos). 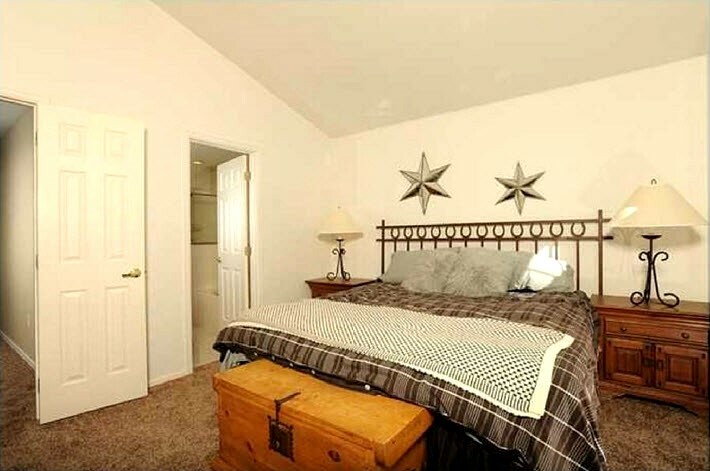 Amenities - The interior of the house features vaulted ceilings that highlight the master bedroom, living room and kitchen area. The entire house is very bright and sunny. The well-equipped modern kitchen has oak cabinetry, granite countertops, stainless steel appliances and a coffee machine. 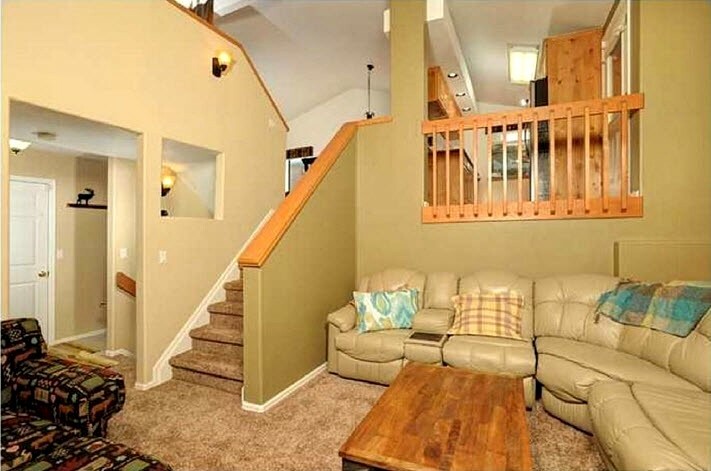 The spacious living room is the ideal spot to relax and hang out with a queen size pull out sofa sleeper. Or go down to the family room and watch a movie on the large flat screen TV or listen to music on the SONOS stereo with your group. 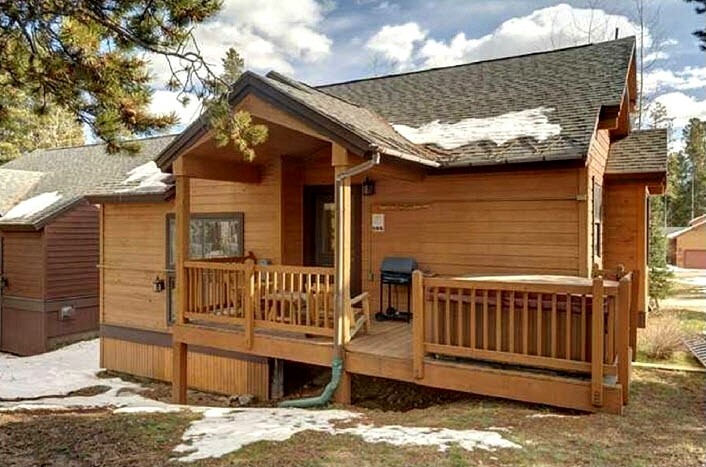 Outside the back is the deck with the private hot tub and gas grill for your enjoyment to relax after a fun day on the mountain. 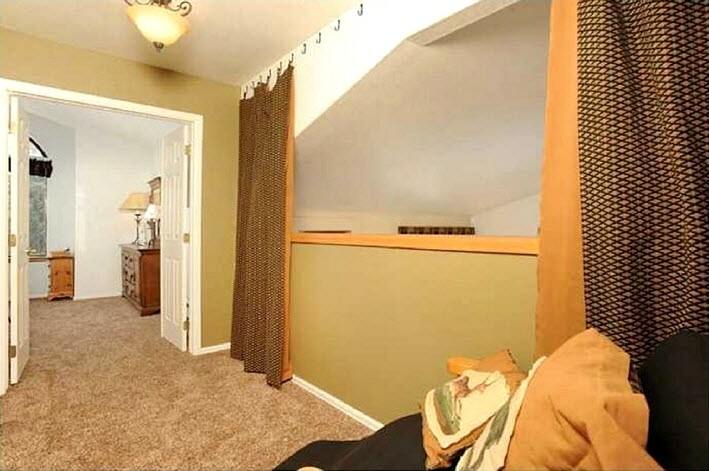 Upstairs is the Master bedroom with vaulted ceilings, walk in closet and double sinked vanity. 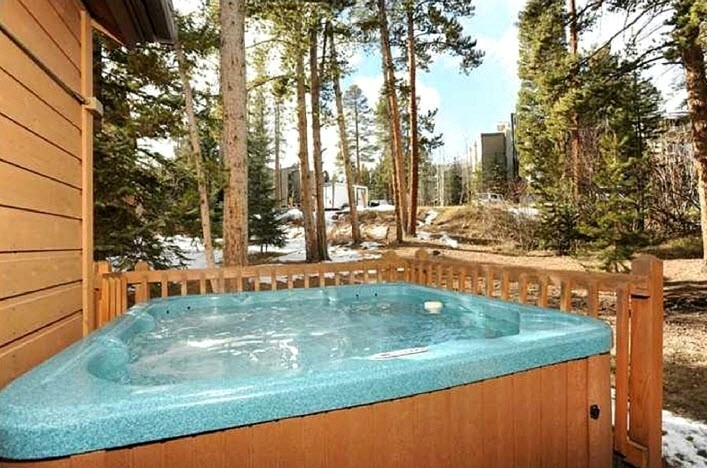 There is a shower and soaking tub for those days when you hit the slopes hard! 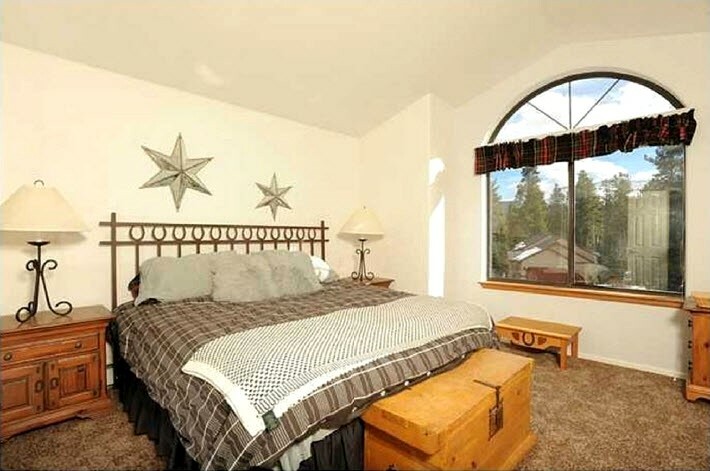 Enjoy a king size bed and views of the surrounding mountains through the evergreens. 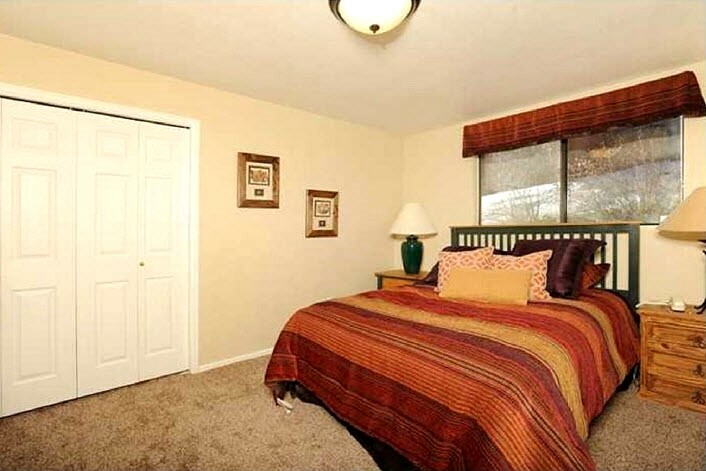 • 3 Bedrooms / 3 Baths (3 Full) / 1,890 s.f. 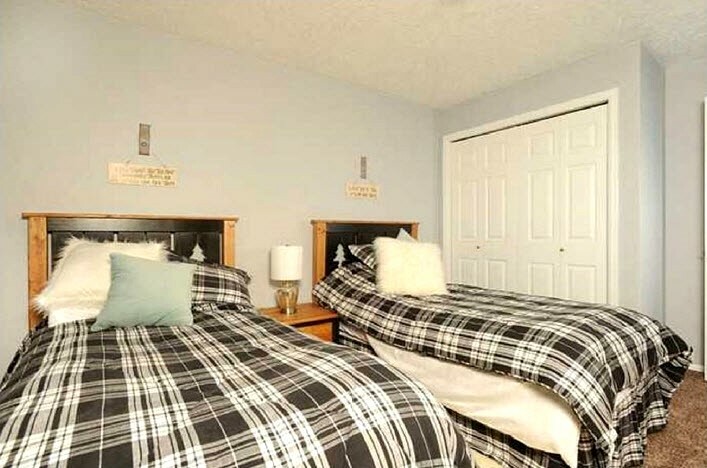 o Shuttle – Short walk through Gold Camp Condos to shuttle on Ski Hill Rd. • Dining Capacity - Up to 8 seated at the dining room table with an additional 3-4 – kitchen island counter.